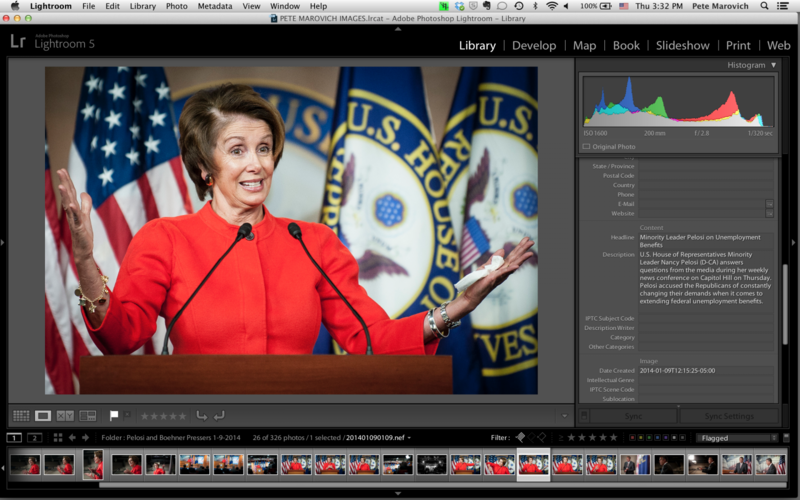 Photographed U.S. House of Representatives Minority Leader Nancy Pelosi’s (D-CA) weekly news conference on Capitol Hill on Thursday. Pelosi accused the Republicans of constantly changing their demands when it comes to extending federal unemployment benefits. For more from the shoot, visit my archive. Tags: capitol Hill, People, photojournalist, political photography, washington d.c.